Neikrug "Changes" album is now available for pre-order and is set for full release August 24, 2018 on Concord Records. Frost School of Music’s alum, Arianna Neikrug, B.M. ‘15, is a jazz/pop vocalist, songwriter, arranger, and recent Concord Music Group recording artist currently stationed in New York City. Neikrug has established herself in the jazz world as the winner of the 2015 Sarah Vaughan International Jazz Vocal Competition (the "Sassy" Awards), and the winner of the 2015 outstanding soloist award in the college division at the Monterey Next Generation Jazz Festival, where her small jazz vocal group "Extensions" took 1st place. Neikrug has also shared the stage with various artists including Steve Miller, Alice Cooper, Kenny Burrell, Neil Young, Al Jarreau, Mindy Abair, James Moody, George Benson, Karrin Allyson, Gretchen Parlato, and Roseanna Vitro. 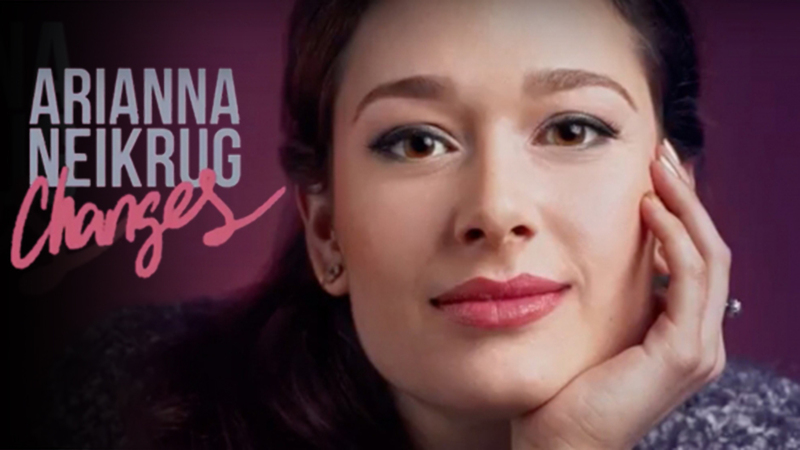 Arianna just released her first single, "Spring Can Really Hang You Up The Most," from her debut album "Changes" in collaboration with pianist, arranger, producer and 2010 Grammy® winner, Laurence Hobgood. "Changes" is now available to pre-order and is set for full release August 24, 2018 on Concord Records.